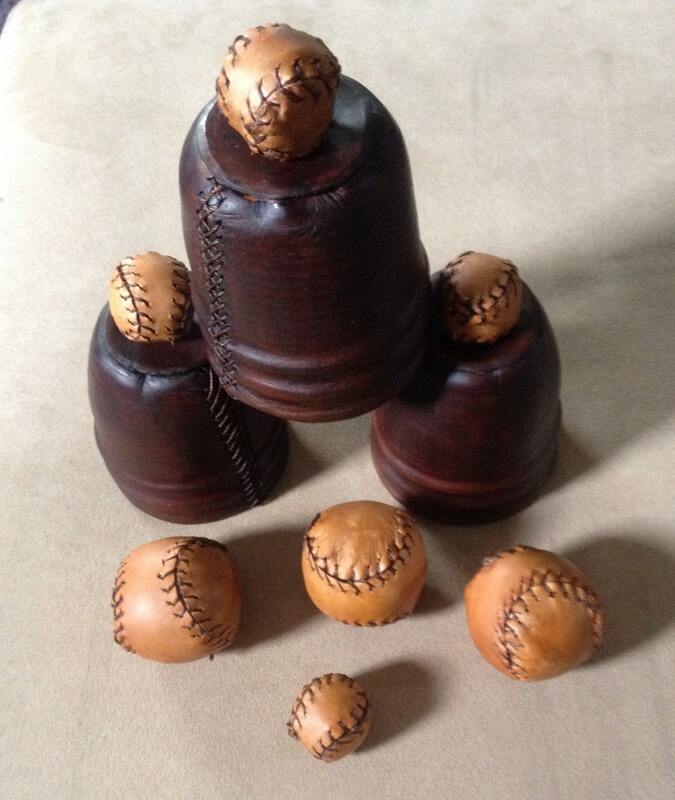 Genuine molded leather cups and balls! 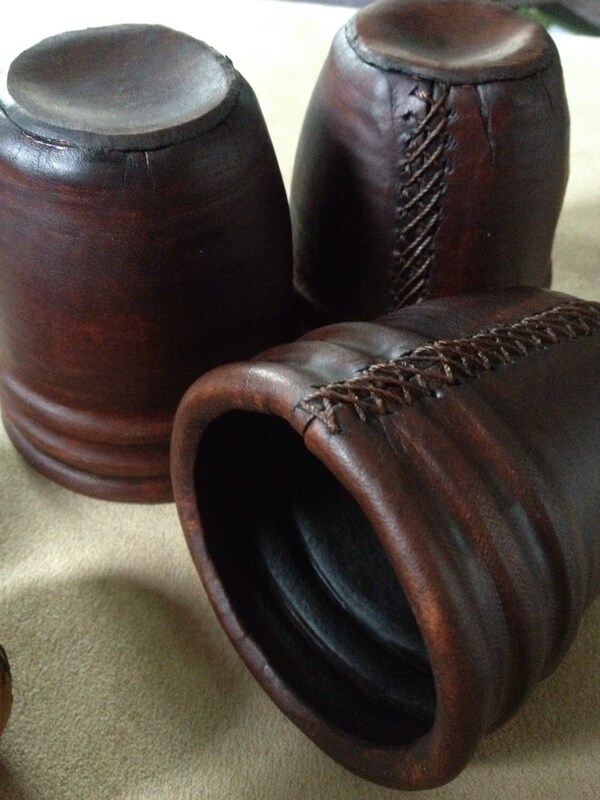 Each cup is hand molded to shape, hand stitched and made from genuine premium veg tan cowhide. 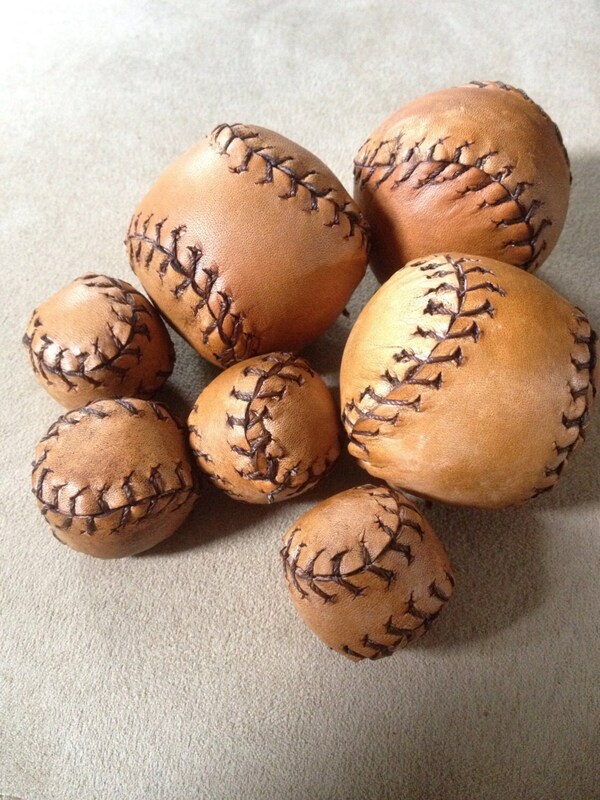 The balls have a wood core and are also hand stitched with a veg tan cowhide cover. 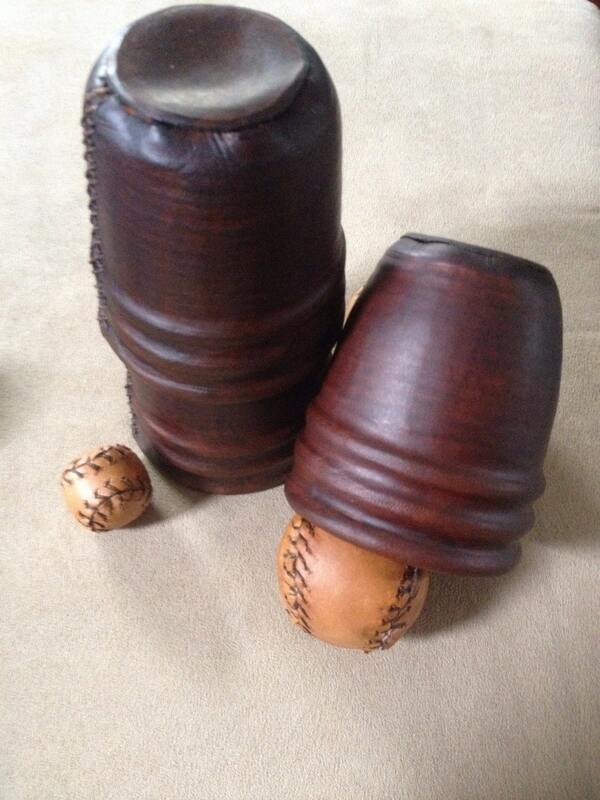 Each set comes with three molded leather cups, four 1 inch balls, and three 2 inch final load balls. As an added bonus, we've even made one of the cups a chop cup too, making this our ultimate cups and balls combo set! ***As these are made to order, you can customize the colors for the cups, for the balls, and stitching- just leave us a note in the comments when you place the order.